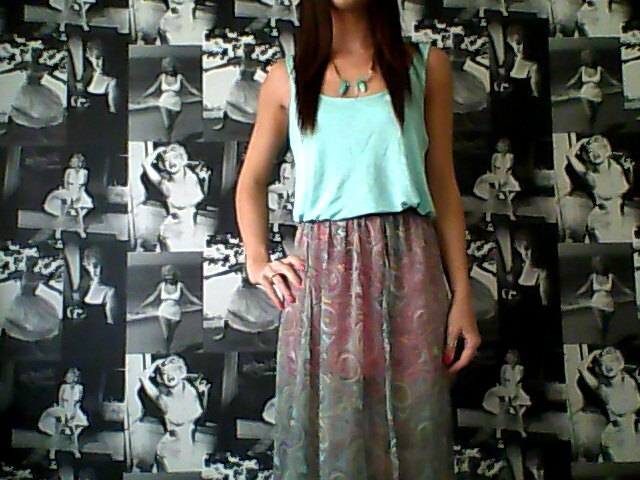 Today I finally got a chance to wear my Paisley Print Maxi Skirt that I bought from H&M a few months ago now. It was a total bargain when I bought it because I had a £5.00 off voucher. It is pretty see-through so I had to wear a little skirt underneath. It also has a large side split in it – which is another reason for wearing the skirt underneath! 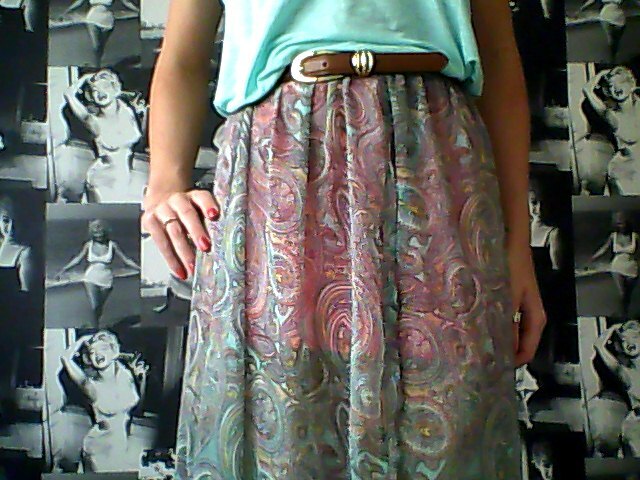 I wore a tan belt belt around my waist to pull it in a little & seperate the skirt from the vest. I hope you all have a really good day! Next Post Yay or Nay?